It is intriguing to see bitcoin exchange companies grow their customer base over time. One of the service providers being transparent about their user growth is the Coinbase exchange. The company surpassed the 6 million users mark earlier this year, indicating the demand for bitcoin is still growing. Do keep in mind this number does not reflect the number of active users on Coinbase by any means. It is always interesting to see how Coinbase grows their user base. Although it is unclear how they get so many users to sign up over time, it is impossible to deny the company’s success. 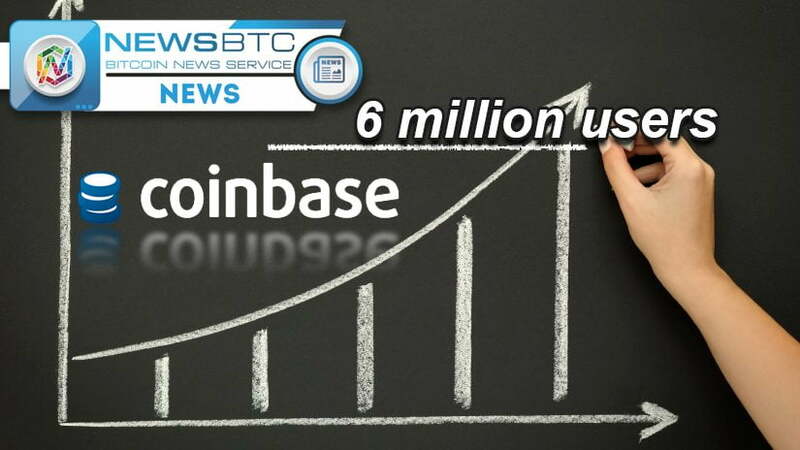 According to the latest statistics, Coinbase has over 6 million users, which is a significant milestone. Albeit not all of these users are still active on the platform, getting 6 million people to sign up for a bitcoin exchange is no easy feat. One thing that makes Coinbase appealing to users is how it is not just an exchange. The company offers a wallet service as well. In fact, one could argue the platform is a one-stop shop for everything bitcoin-related. Although not everyone may agree with this train of thought, Coinbase is more than a bitcoin exchange, that much is certain. However, it remains a centralized platform that only facilitates entry into the cryptocurrency world. Their wallet service should never be used to store funds long-term. The bigger question is whether or not it is good to see so many people rely on Coinbase. Multiple exchanges exist all over the world, yet Coinbase seems to be one of the frontrunners in this regard. The fact this company has come under scrutiny by the IRS goes to show they are attracting attention from the US government. Although Coinbase opposes this summons, some users are concerned about this development. Then again, the increase in users goes to show the company still enjoys a very solid reputation. Some Reddit users are quick to point out this number also includes people who have not even verified their account yet. It also contains the number of accounts with a balance of zero. While not everyone who signs up for Coinbase will continue to use it, it is still quite an impressive number. Using the platform to buy bitcoin in a somewhat convenient manner seems to be the primary use case, though. One thing that surprises a lot of people is how 2 million new users signed up for Coinbase in the past six months. It is unclear if bitcoin’s price surge through the second half of 2016 has anything to do with this trend. It seems plausible the price surge sparked more interest in bitcoin and ways to buy cryptocurrency. Coinbase and other exchanges can reap the benefits from such trends, though, that much is certain.